Creating a stir in online Bitcoin communities, the SegWit upgrade was finally launched last Thursday via Block 481,824. While remaining compatible with earlier software versions, SegWit rearranges how data is stored, boosts capacity, and removes transaction malleability. In addition, SegWit lays the foundation for the introduction of the Lightning Network (LN), which is under development and promises to improve speed, cost, and scalability of transactions and usage. It’s hoped that with the advent of SegWit and LN, which promises to boost Bitcoin capacity to millions of transactions per second, costs will reduce in line with initial promises of affordability of the cryptocurrency. Implementation of the contentious upgrade did not appear to impact trade, as Bitcoin traded sideways and was in the negative to the tune of just under 1% over the relevant 24-hour period. This is despite the fact that Bitcoin prices had jumped to near-record highs on July 20, when consensus regarding SegWit was reached. This seems surprising when you consider that this is one of the most significant technical upgrades to Bitcoin software – perhaps ever. 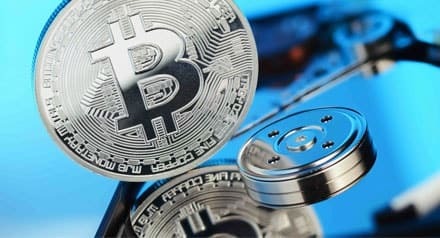 In the short-term, however, the cryptocurrency can expect some more profit booking followed by a longer-term spike as traders begin to comprehend how the technology upgrades impact the cryptographic asset. “SegWit paves the way for a Bitcoin super network that allows for instant transactions using Payment channels and Hashed timelock contracts,” says Raj Chowdhury, MD of Hashcash Consultants and prominent Blockchain Expert. While most experts agree that it’s a positive step for the industry, some indicate concern over the real impact of the upgrade on the future of Bitcoin. Responding to what they see as the wrong choice on the scaling debate (implementing SegWit), some Bitcoin users have forked the Bitcoin Blockchain and have created a new version entirely, called Bitcoin Cash. Given the possibilities and the potential long-term impact on the Bitcoin market and industry, “it is a moral responsibility for the sentinels of the network to keep it running smoothly,” says Chowdhury.